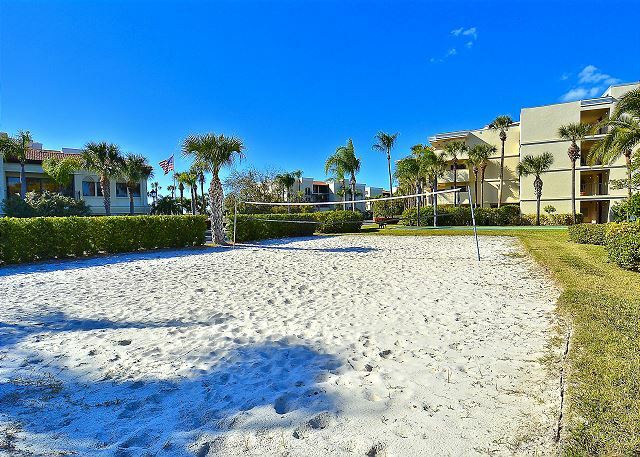 This beautiful beach front condo is new to our program! Recently updated 2 bedroom, 2 bath unit with amazing Gulf views from your living room, master bedroom and of course your private balcony. This lovely condo has been done with granite counter tops, updated master and guest bathrooms, newer flooring and furnishings and much more. All the comforts of home inside and many amenities outside makes this a true vacation getaway! We have rented this unit at Lands End through Resort Rentals for several years. Resort Rentals is excellent and responsive to renters. Lands End is a beautiful quiet condo complex. Condo 403 in building 9 is a lovely unit. The owners have updated furniture, paint, light fixtures and some appliances. We have stayed in this condo for 8 years and certainly want to return next year. We are so glad you enjoy your time here and are comfortable in this beachfront condo, it really is lovely!! :-) Thank you for being our repeat guest and we look forward to your next visit. Resort Rentals went above and beyond to make our vacation a good one. Our initial rental condo at Lands End was due for some last minute renovation and the elevator might not be in service. RR called us immediately and helped us find a comparable condo at Lands End with a delay of one week arrival and departure. Some very slight problems came up when we first arrived and RR was there to help immediately. This is the third time we have used RR and the way they operate makes planning a vacation easy and efficient. The unit is in a great location and with a very few minor changes is a great place to stay. Thank you so much for this feedback from your recent stay, but even more so for your patience and flexibility with the issues that came up!! We are so glad we found another option that worked and that you enjoyed your time. Thank you for being our guest and we look forward to seeing you back for another visit in the future. I enjoyed my stay it has been many years since I stayed at Land's End always enjoyed. Some things disappointed me. I understand the linen service but it would be nice if fitted sheets were fitted. They continually came off mattress during night. Need deeper pockets. Also did not like that there are so few non-perishables kept in condo. I stayed only one week and it would have been nice if there were coffee filters or dish detergent (I did not use dishwasher). I did have a packet of coffee, but couldn't use without filters :(. Ice maker always jammed but did make ice. Also would have been nice if there were some baggies, tin foil or small plastic containers to store leftovers in fridge. I think some consideration should and could be given to a little more non-perishables. Thank you for your feedback and we are sorry if you were lacking on any items at the condo. Each condo is privately owned and stocked differently but we do provide some started items in hopes to make you comfortable upon arrival. We will be sure to share this with the owners for their review. We are glad that that you enjoy Land's End as a whole and look forward to having you stay with us again for future visit. My husband and I enjoyed our Lands End vacation. The unit was on the 4th floor overlooking the Gulf of Mexico; very warm and always a great breeze coming from the gulf. The unit was spacious, clean and very private. We will definitely stay on the Gulf side again. Property was in great location, good amenities, but it is not up to a standard of a 'premier' unit. Very tired and needs updating. Nothing has been done in 6 years. Front door needs work, walls needs painting, furniture in living room need updating. Shower curtains are cheap plastic and not what you would expect in 'premier' unit. The same small living room rug has been there for 6-7 years. Popcorn ceilings, older styled doors in kitchen cupboard, sliding doors and windows not upgraded. AC not working on arrival. New thermostat didn't work so had to turn off fuse panel to temperature above 65f. Unit was clean but dishes left in dishwasher with a broken glass in there. Rental and owner responded positively to requests for AC, glasses, TV remote, and screens on windows and doors. I would recommend this property but not as a premier unit. It needs TLC and updating. Thank you so much for your feedback on this, we very much appreciate it as this is what helps us to keep a standard in our condos for our guests! We will be sure to pass this over to the owners for their review and knowledge. We are truly so sorry you had any troubles with the AC unit and thank you so much for calling us so that we could get that (and the other items) correct for you. We will be sure to take a look at all things that you had left with us and thank you again for your feedback. Thank you for choosing to stay with us and we look forward to having you back again next season! As always it was a pleasure waking up to the waves crashing on the beach as you look out your balcony window. 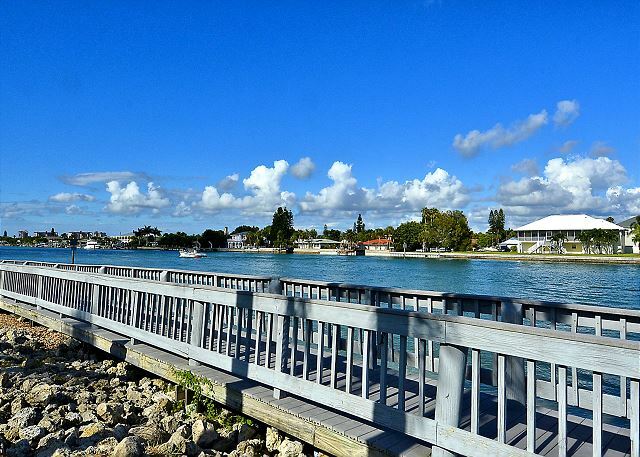 On the bay side, you can get a glimpse of the dolphins at play, sometimes off the beach on the gulf view. We've stayed in many different units and always enjoyed the stay at Lands End. Great to hear!!! So glad you had another enjoyable stay at Land's End and we will see you for the next visit!! Awesome! We are glad you enjoyed the location of this premier condo!! :-) Thank you for being our guest and we look forward to your next visit to Land's End! From the start to finish everything was wonderful. Location was a 10. At the very end of the Street away from all the tourist. The room was amazing just beautiful. Everything you needed there and such a view of the Golf Of Mexico. Cant wait ti come back! Thank you so much for this nice post and kind words about our staff! :-) We are so pleased you enjoyed this premier condo that you stayed in, the owners really did a lovely job and we are so glad you liked it! Being at the end of the peninsula really does make Land's End feel private and quite and we are glad you enjoyed that aspect of it! Thank you for choosing to stay with us and we look forward to having you back for another awesome vacation at Land's End soon! Are there Degrees of Fantastic? 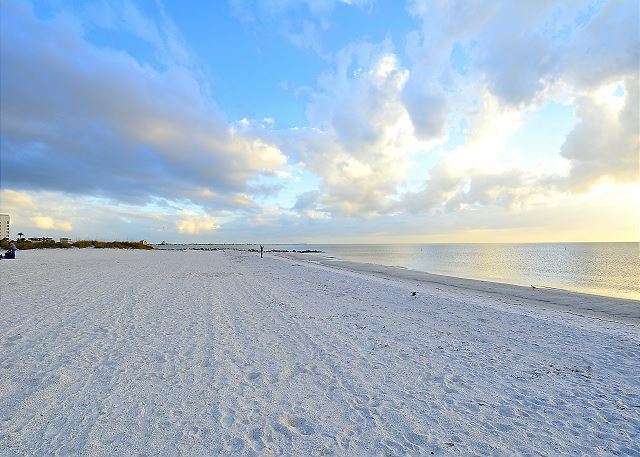 Land's End is the perfect location on the Gulf. The complex is well maintained and this particular unit was a pleasure to visit. All in all, with the fantastic weather we experienced, it was another great week in Paradise! Thanks. Always a pleasure to have you!!! :-) Looking forward to your next Land's End visit! The condo was in excellent condition, beautiful view from the balcony of the gulf. 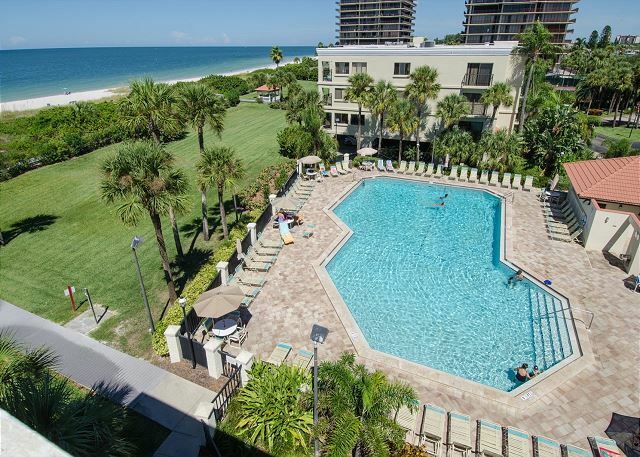 So glad you enjoyed this premier condo directly facing the Gulf!! :-) Thank you for staying with us and we hope to have you back at Land's End for another beach vacation!! This was our fifth year in this unit. 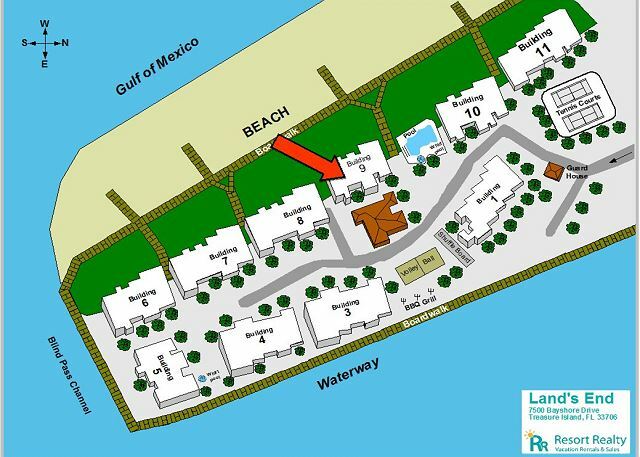 It is a wonderful location with views of the beach and Gulf of Mexico. The pool is a good size and the other people are welcoming and friendly. Excellent seafood and Italian restaurants in the area. Shopping is very good. St. Petersburg offers cultural venue. We look forward to returning each year. Thank you for your post! 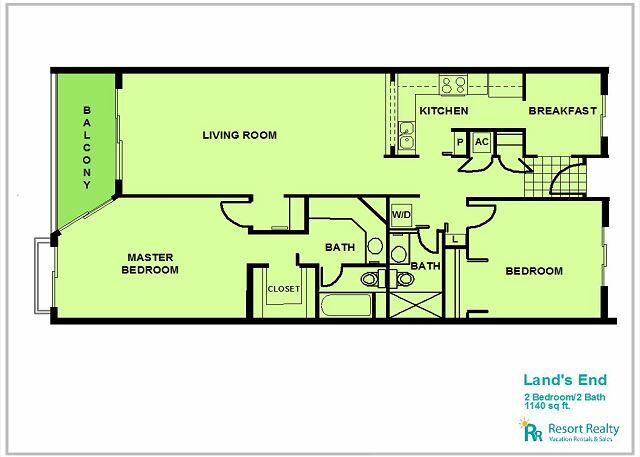 We are so glad you enjoy your time in this premier condo at Land's End, as well as all that the area has to offer! :-) Thank you for choosing to stay with us and we are looking forward to your next visit! Condo was wonderful! Very clean and had everything we needed. Great view of the ocean. Pool was also fantastic. Staff very friendly. We will definitely come back! Thank you for your post! We are so glad you enjoyed this premier condo that you stayed in!! :-) We appreciate your kind words about our staff and look forward to having you as our guest again soon!! 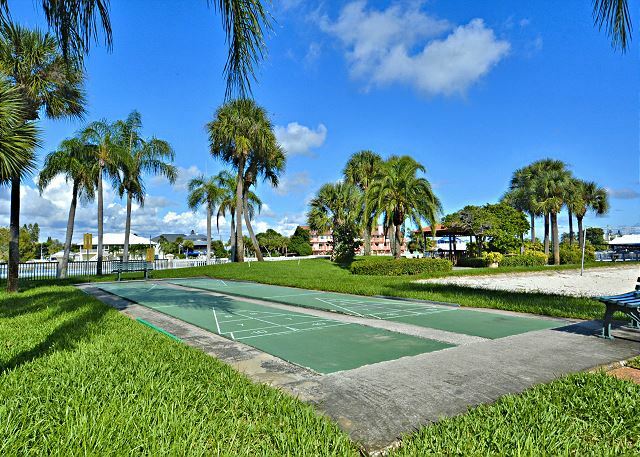 Outstanding property location! Conveniently located, easy to get to - great facilities! (Our rental unit was in good shape, overall, could have used a couple of minor "fixes" before we arrived but, all in all, very well done)! It was very relaxing. Wonderful time. I want come back again!!! :-) Please do come back and visit!!! Our rental vacation experience was fabulous. Resort Rentals website: was very easy to navigate, view pictures and descriptions of rentals, and book online. The office to pick-up the key was conveniently located close to the resort. Our rental at Lands End Resort was absolutely phenomenal. Beachfront condo with all the amenities one could need. 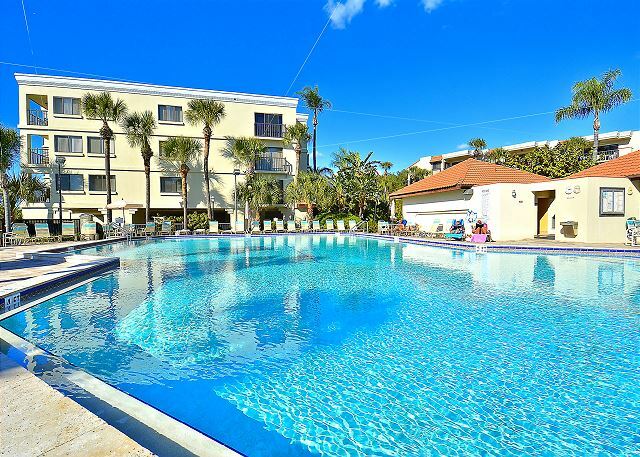 The resort complex is meticulously maintained and enjoys a more mature, classy type of vacation renter. Families that had young children made sure they were well-behaved and not a menace which was much appreciated. The resort has rules which are beneficial for ALL guests and residents. This is our second year staying at Lands End in the month of May-which we think is the perfect time to visit. 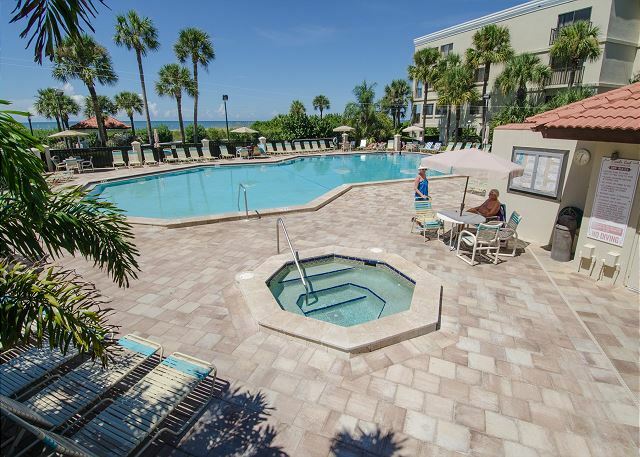 Always tons of activities to stay as busy as you like or you can just relax at the beach or saltwater pool. This year we visited the Dali, Museum of Fine Arts, Chihuly, and took a Segway tour of St. Petersburg-all were fabulous experiences.